It could be the Pollenia griseotomentosa? It has been collected on 27-03-18 in Majorca. 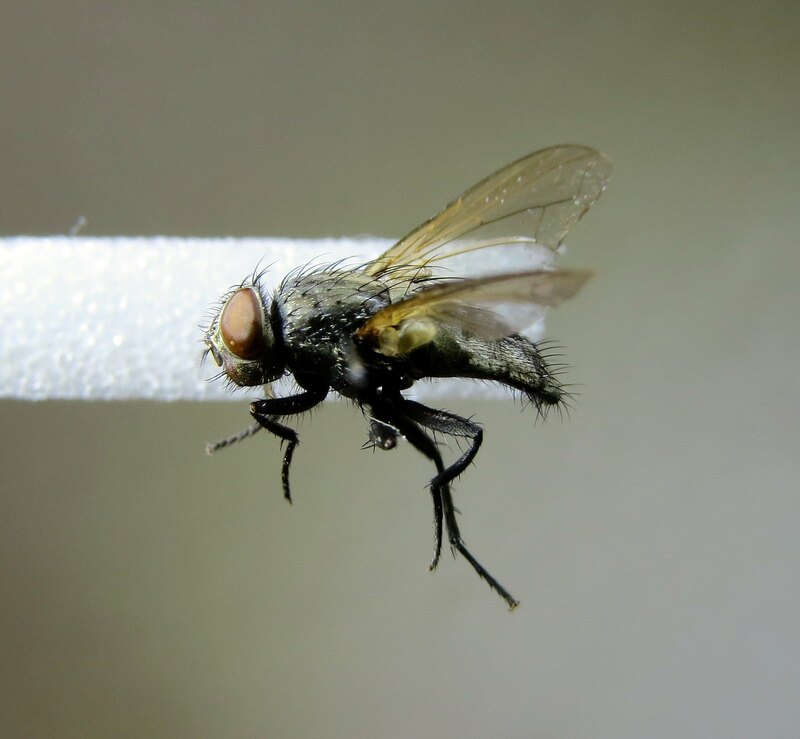 we will need to see the whole fly in dorsal view and the leg chaetotaxy please. all three legs need to be photographed. 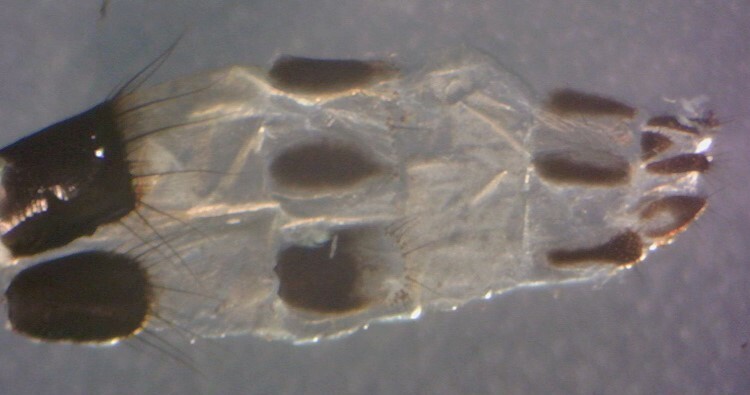 chaetotaxy, facial keel and other features doesn't match griseotomentosa group (griseotomentosa and mayeri). could simply be a femle rudis but i'd need to see the ovipositor to be certain. many Pollenia range from 6mm-to-11mm, so size isn't necessarily an indicator for a species. if you really want an id, you can always send it to me. outer ph setae are used by Dr. Rognes. furthermore, i believe that i see two ad mid tibia. is this correct? without viewing the ovipositor, i cannot suggest a species. I appreciate all information about this species, thank you very much. Yes, it has 2 ad mid tibia. I attach you a sketch of the scutum, is it correct? How could I find the key of Dr. Rognes? I would like to have it. Dr. Rognes has alot of material available for free at his website. Most groups are covered. Just search the page for Pollenia to find the publications. at this point, it will be easier to work with the specimen by looking at the color of the palpi. are the palpi black/dark with a pale tip or orange/yellow? nota bene: strong lighting can make the dark palpi appear to be yellowish (a sort of transparency). Thus, be certain to view it at all angles in various intensities of lighting. this step can save alot of time, so start here. the spermathecae are visible in your photo and they are not spherical (round like balls) which also eliminates griseotomentosa. the spermathecae appear to be long. lateral sacs can be very helpful because they are either scleritized or not scleritized. I cannot see the lateral sacs. You have removed the ovipositor from the abdomen which makes it difficult to dissect. You will need to fully extend the ovipositor for a complete view, then photograph the dorsal and ventral sides (tergites and sternites). I suggest that you use a gentle tool to hold it in place so that you can use fine tweezers to fully extend the ovipositor. You should do this while it is in a small amount of water to keep it moist. Tease it out but do not pull or you will risk further damage to the ovipositor. Ovipositors look very similar, so it is important to preserve the ovipositor as it is in the photo. Try not to damage it. If you have microscissors and a steady hand, then you can cut the ovipositor lengthwise to open it up for a better view. However, you should photograph it well from both sides before you risk damaging it beyond recognition. also bear in mind that a few female species are unknown. I have an appointment with a Doctor, so i must log off now. Thank you very much for this page, it is really useful. I see a black/dark palpi. I tried to do all my best and this is what I see... I think that fits with P. rudis. Bravo! Miguel. I am proud of your effort with this specimen. You've even documented the lateral sacs. Job well done! I agree with Pollenia rudis female. Pleae add the species to the title. Nota bene: Pollenia rudis females can be quite tricky at times. For example, i have a female that looks much like P. vagabunda. Even the spermathecae are round (freak specimen). However, careful examination proves it to be P. rudis. Dr. Rognes confirmed it as P. rudis. My point is that P. rudis might fool you from time-to-time, so it is important to analyze key features that distinguish P. rudis from other Pollenia flies. Palpi, ad on t2, t3, pv on fore femora and t1, black vestiture, posterior spiracle, scleritized lateral sacs, spermathecae, ovipositor and microtrichia of ovipositor. Careful examination is very important with Pollenia flies. I love Pollenia flies, so i try to be as close to an expert as possible. Thank you very much for all your help and disponibility, I really appreciate that! It was a little bit difficult to cut without damaging! I will check accurately the other specimens (also males) that seem to be the same.